Synopsis: An ageing rodeo star returns to his home town for a rodeo championship. 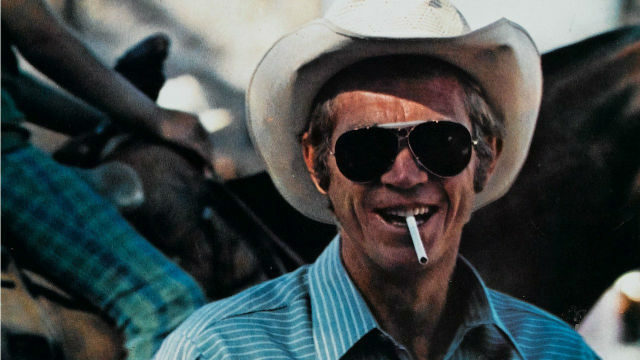 Steve McQueen (The Thomas Crown Affair, Bullitt) stars as the eponymous title character, a rodeo rider in the mid-West whose dawning realisation that his best days may now be behind him coincides with his return to his home town in Arizona for its annual rodeo championship. His natural urge is, of course, to rage against the dying of the light, and so insists on facing the meanest bull on the circuit in order to prove he’s still got what it takes. But, for most of the film, Junior’s rodeo troubles are largely secondary to the emotional issues that are slowly pulling his family apart. His parents have drifted apart, the patience of his mother, Elvira (Ida Lupino), finally frayed beyond repair by the pipe dreams of his father, Ace (Robert Preston), whose latest plan involves mining for gold in Australia. We don’t need to see the outcome of that particular dream to know that it will end in defeat – all of Ace’s grand plans make him poorer instead of richer, and he’s recently had to sell his modest homestead for a knockdown price. Upon his return, Junior’s dismay at finding that the new owner has already begun developing the land prior to the construction of new homes is compounded by the fact that the buyer is none other than his older brother, Curly (Joe Don Baker – Cool Hand Luke, Panther). Junior Bonner might at first appear to be an atypical entry in Peckinpah’s CV, but it shares a theme that’s found in most of his movies – that of a man struggling to come to terms with the passing of an era by which he is defined. McQueen is remembered today more as an icon of cool than an actor of quality, but he was capable of expressing as much with a look as he was with a line, and his carefully measured approach is well-suited to the part of Bonner, a man growing increasingly disillusioned with a world following a road that has diverged from the one he has chosen to take. Nevertheless, his choice seems the most preferable of those examined. His brother is a slave to money – “I’m working on my first million while you’re still working on eight seconds,’ he gloats, referring to the length of time a rider must remain on the back of a bull in order to have bested it – and is oblivious to the shallow superficiality of his life, while his father chases rainbows and his mother lives in a kind of forlorn limbo. Junior Bonner is a movie that oozes dusty atmosphere, but it tries a little too hard to dress up its rather ordinary tale of small-town emotional angst as something more profound, and, like the life of its protagonist, lacks meaningful direction and purpose. Junior Bonner (1972) – July 4th Parade.